The company that plans to build a multimillion dollar garbage sorting and recycling facility at the Franklin County landfill has paid its bills, but the future of the project still is unclear. The $110 million facility would be built on land leased from the Solid Waste Authority of Central Ohio, but Florida-based Team Gemini still doesn’t have financial backers, and work on an access road to the site was halted in October, said Ty Marsh, SWACO’s executive director. SWACO has been locked in a dispute with the company since work stopped on the access road in October. Team Gemini had stopped paying for its share of the road, which SWACO is under court order to complete by the end of this year. It also wasn’t paying rent or taxes on about 370 acres it is leasing from SWACO, Marsh said. The company owed SWACO about $389,000, and it was about $1.1 million behind on its share of the costs for the access road. Team Gemini paid those bills before the May 15 deadline that SWACO had imposed, but it still hasn’t resumed construction on the access road. Letters SWACO’s attorneys sent to Team Gemini also say it hasn’t complied with a request for information about its efforts to land financing for the project. Road construction should restart in the next month, and financing for the project should be locked up in the next few weeks, said Patricia Wark, Team Gemini’s majority owner. The road is expected to cost about $6 million to build, and the two sides are supposed to share in the costs. SWACO’s cost is capped at $2.75 million. SWACO has to build the road because the current entrance to the landfill is too close to a new interchange at I-71 and Rt. 665. The two sides decided to build the road together because it would have run through the area where Team Gemini plans to build the sorting facility. Wark said the project will be the first of its kind in the United States. 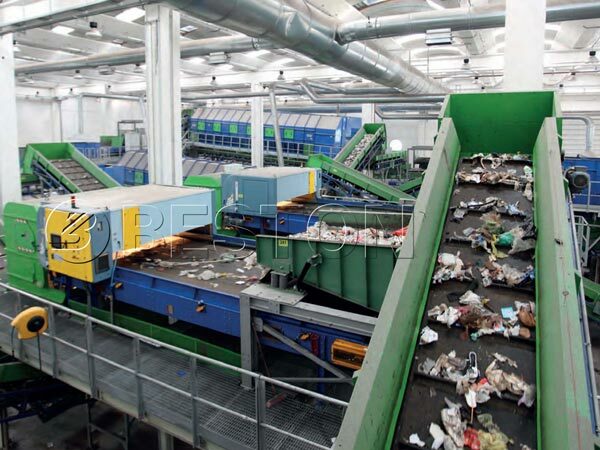 Garbage trucks will dump trash inside the 229,000-square-foot sorting facility, where recyclables will be removed and sold. The company pays SWACO for the recyclables, and the rest of the garbage goes into the landfill, Marsh said. A second phase envisions a business park across the street from the landfill, where recyclables would be taken for processing before being sold to companies that can reuse them. “They wanted this to be a prototype that they could shop to the world,” Marsh said.